Is our civil service fit for purpose? Michael Coolican takes John Reid’s damning statement about the Home Office as his point of departure for a comprehensive overview and evaluation of the machinery behind the government and the people who make public services work on a daily basis. 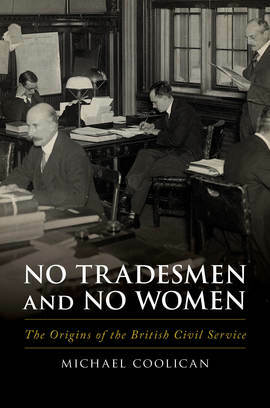 Beginning with Henry VIII’s chief minister Thomas Cromwell, Michael Coolican takes us on an odyssey through the history of the British civil service, starting with a time when public positions were sold and traded through Royal Warrant. Coolican examines the radical reforms of the Victorian era which entrenched a culture of elitism, misogyny and distrust of high-quality data as a basis for decision making, that, in some areas, persists to this day. A former high-level civil servant with forty years of experience, Coolican has produced a pithy and, where necessary, ruthless analysis of the civil service and its relationship with government, especially at Cabinet level, bringing to bear detailed and extensive research informed by a true insider.